This week, Rosie Niven tells us a little about trade magazines: one of choices that graduates sadly – and perhaps foolishly – overlook. Rosie Niven started her career at Haymarket Publishing on the weekly Planning. 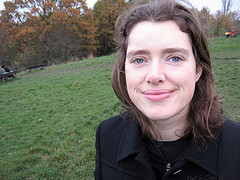 In 2004 she moved to indie publisher New Start Publishing to work on a magazine for urban regeneration professionals. She is now assistant editor of New Start and freelances for clients in broadcasting and online media. You know the section at the end of Have I Got News for You when they feature a publication so niche and obscure that you can’t believe anyone would ever read it? Well, when you say that you work on a trade or specialist magazine, that’s the kind of title many people have in mind. Freelancing has an incredible attraction: one day you can be meeting Michael Bastian for a chat on his latest line for GANT (more to come on that!) and then the next you are doing coffee discussing the pitch for a new project. The next day you get up a little later than usual and sip a tea over a new article, watching the rat race fly by outside in the relentless rain; later on you’ll pour out a vat of vin and copy edit everything you’ve achieved before send off. I do all of these things; but it’s not because I can afford to.